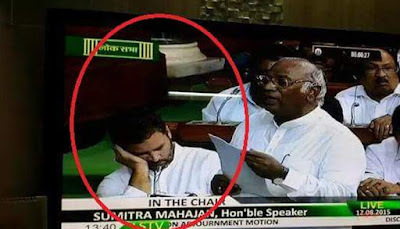 So recently the duke of Hindustan Mr Rahul Gandhi was caught taking a quick nap while a heated debate on Dalit atrocities was going on in the parliament. To be honest I am hardly surprised at the matter because as Indians we possess several hidden talents such as dozing off during flight takeoffs amongst others. Come on who doesn’t enjoy a nap. Even some of our pilots do. Soon enough the matter snowballed into a huge media outcry and prime time debate slots were reserved to discuss the matter. 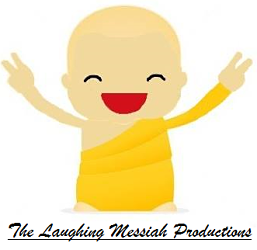 Party members fought tooth and nail to defend his actions giving statements like that he was only moistening his eyes or that it was a Yoga technique to enhance listening abilities. Some even came to the conclusion that he was simply in deep introspection thinking about the plight of Dalits. At this stage they are collectively simply one step away from proclaiming that he was not sleeping but simply closed his eyes to establish a telepathic connection with extraterrestrials to check their views on the debate. Now Mr Rahul Gandhi truly faces a big conundrum indeed. It’s like when your teacher asks if you were sleeping or not during class. Regardless of the answer you will definitely get into trouble. I was fortunate enough to have caught the primetime debate on Times Now where mature men were passionately debating the Rahul Gandhi fiasco. One of the panelists raised doubts as to if Mr Gandhi was pro or anti Dalits. When the sleeping incident of Mr Modi was mentioned another panelist quickly defended him saying that he slept because he had just returned from a long international tour and was a bit tired. Now this raises the confusion as to what is the right time for things to be considered serious enough. For example when is it exactly considered a ‘violent’ day at the parliament. When a member breaks a table or is it when the prime minister performs a chokeslam on a member of the opposition. These are grey areas indeed. Over the years our politicians have been caught sleeping at critical junctures whenever India’s future was being shaped. It’s high time that we as a nation establish mutually agreed descriptive rules as to what really constitutes as ‘sleep’. -Eyes gazing down and staring at the floor with no facial gestures. -The culprit should be able to furnish evidence of any trip undertaken within the past 24 hours (including but not limited to intergalactic voyages). -In case the member is in deep introspection with their eyes closed, he/she should place their fist under their chin every 2 minutes to indicate their reflective nature prominently. Failure to do so would lead to disciplinary action. - Keeping your eyes closed for elongated ‘moistening’ purposes is permitted if you have conjunctivitis or have broken a world record in cutting onions recently. Maybe we can take a cue from the British House of Commons where all the members sit stuffed up next to each other. As a patriotic Indian, trust me its poetic justice indeed seeing your former rulers suffer in silence. Their seating pattern is like those property advertisements in Mumbai where you see spacious houses with European models flipping hot aloo parathas and in reality all you get is a pigeon hole. Getting our parliamentarians sit closer to each other would besides making them feel conscious all the time also serve greater goals such as increasing their accuracy at throwing furniture around. Till the wise folks figure out their next step, I am off to sleep during daytime. One of life’s simple pleasures I get being a Rahul without the Gandhi surname.